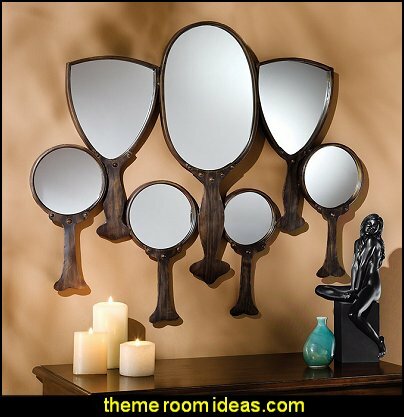 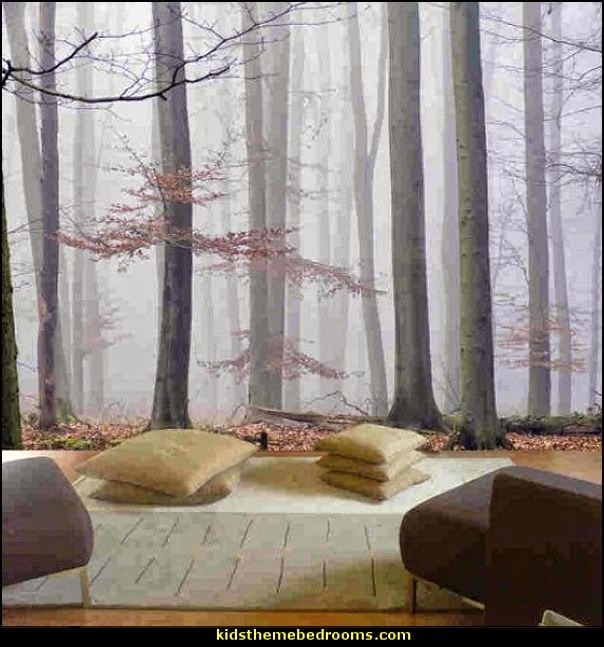 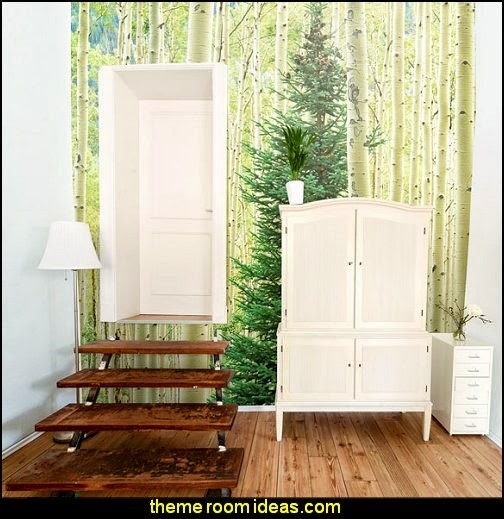 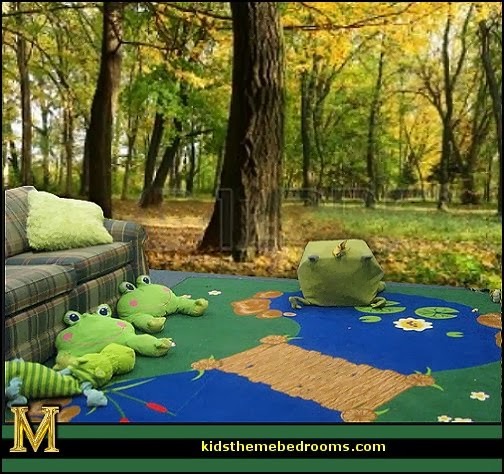 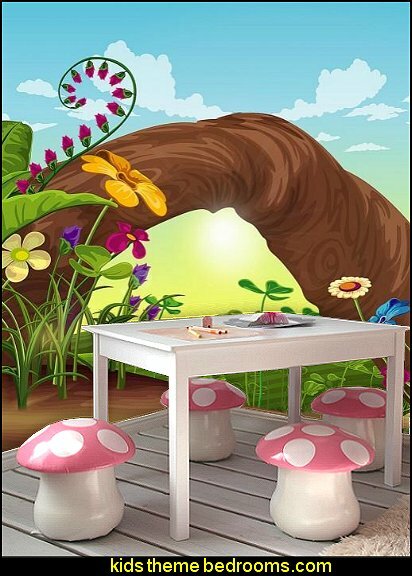 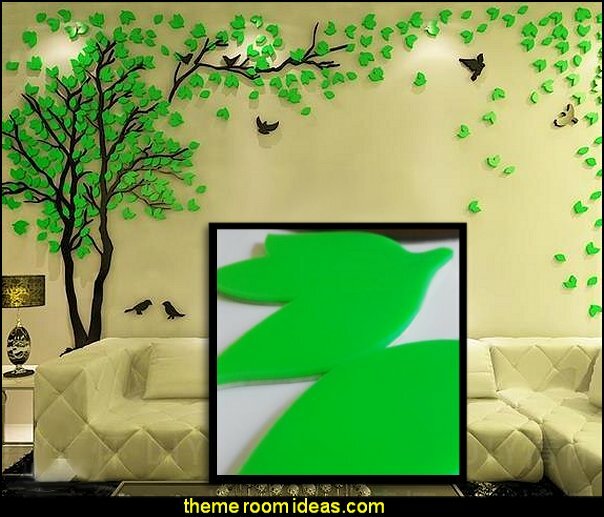 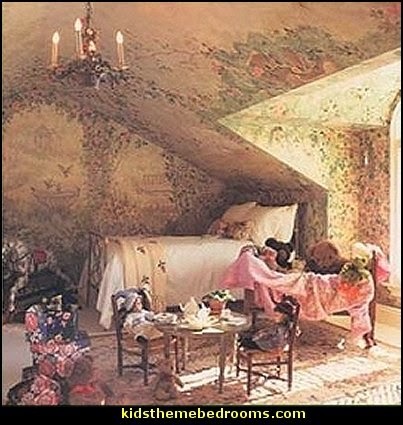 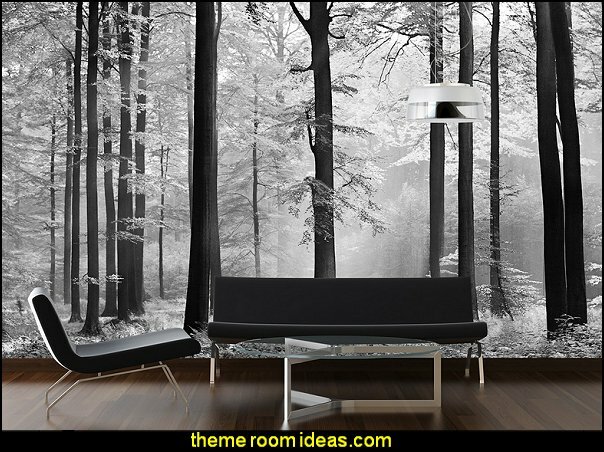 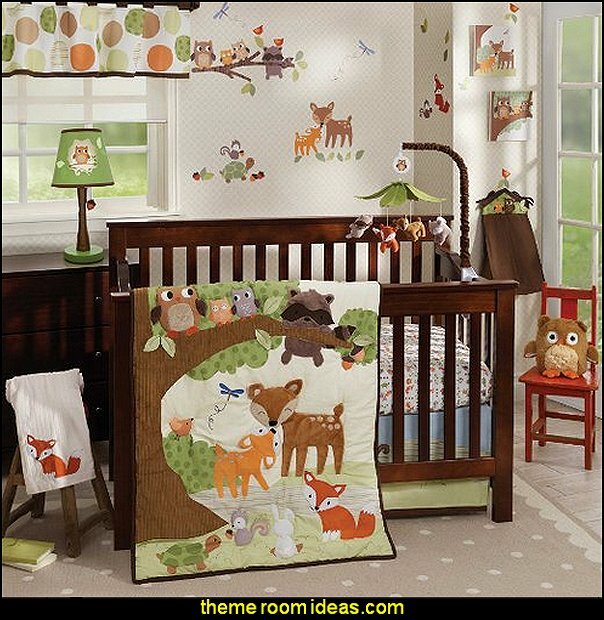 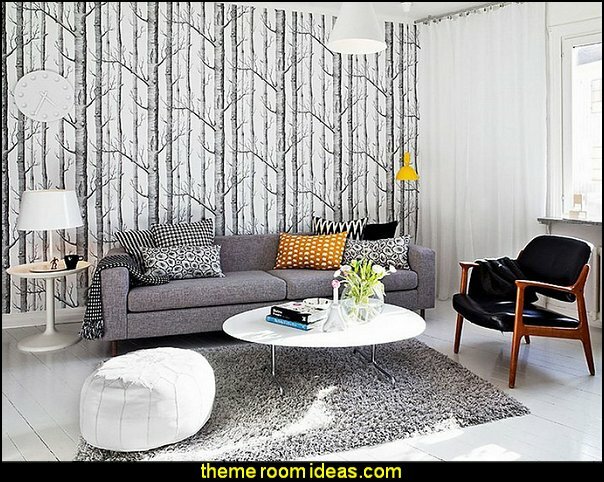 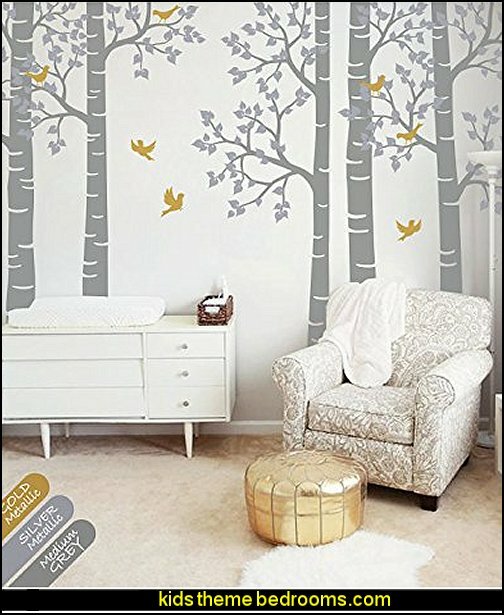 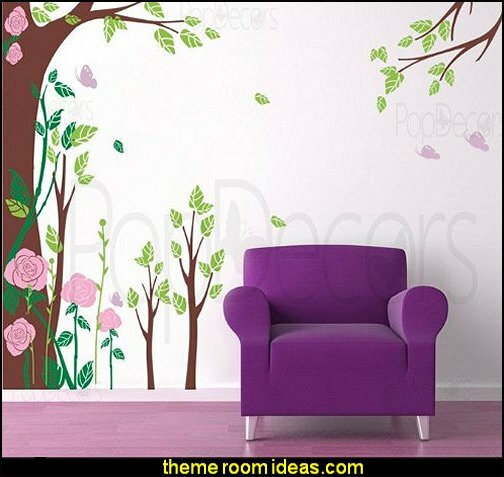 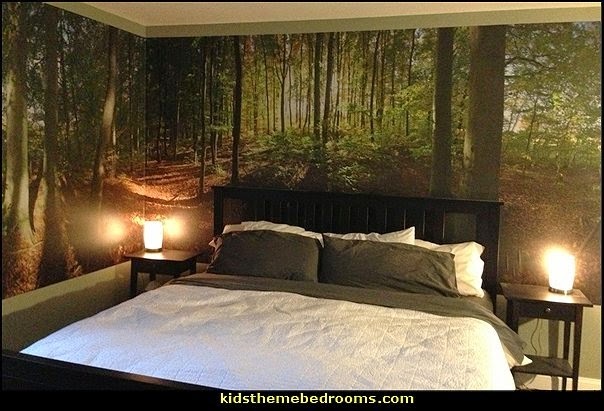 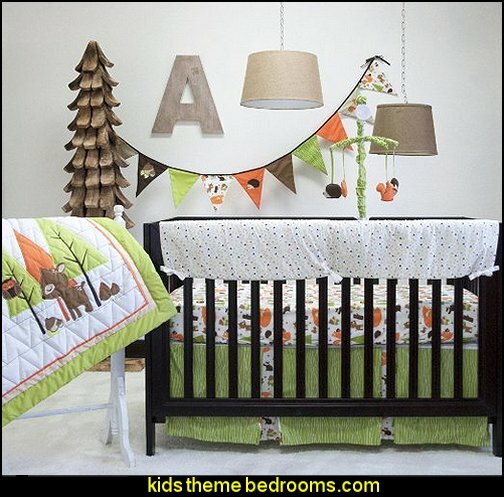 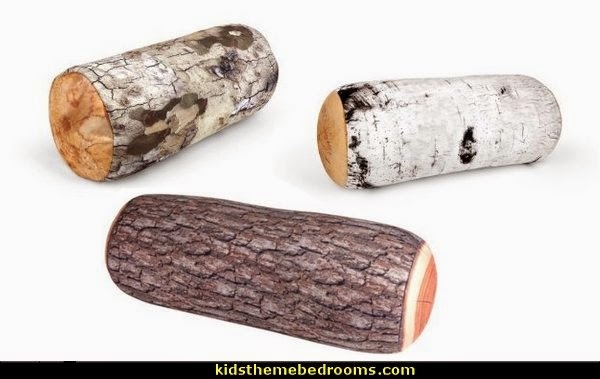 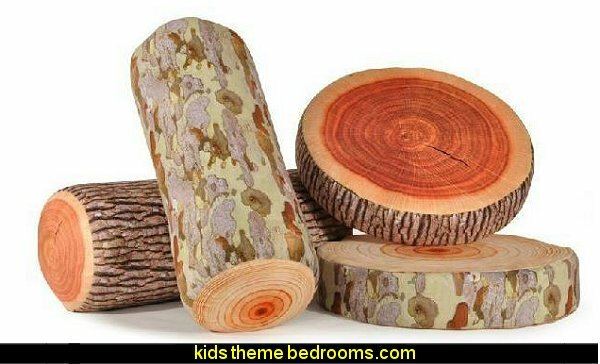 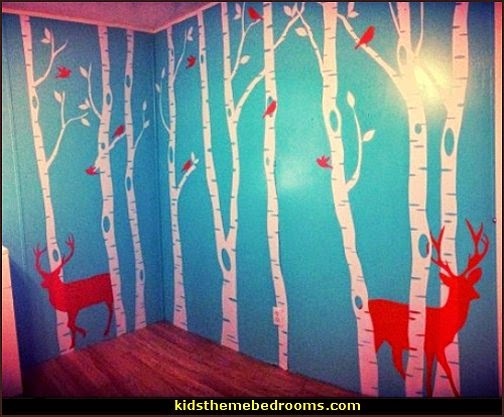 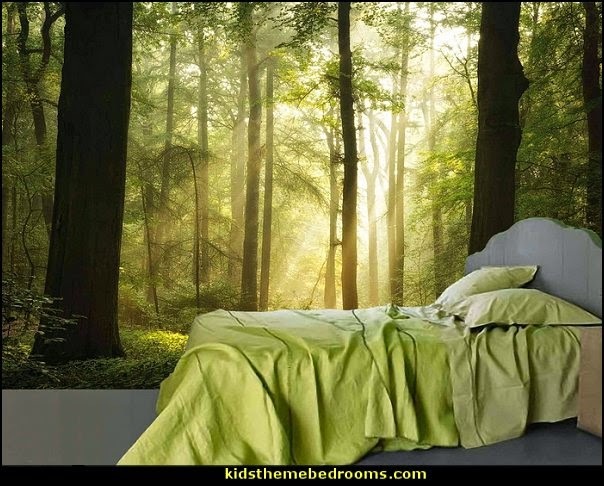 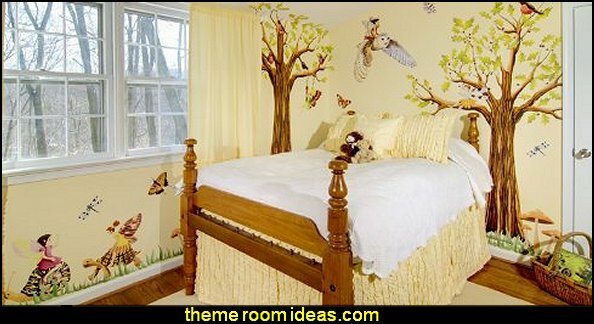 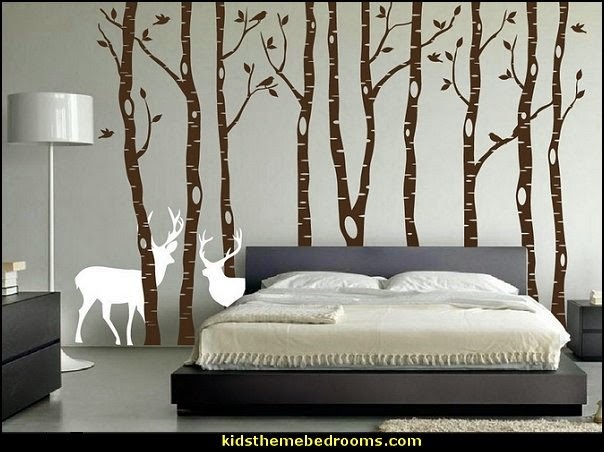 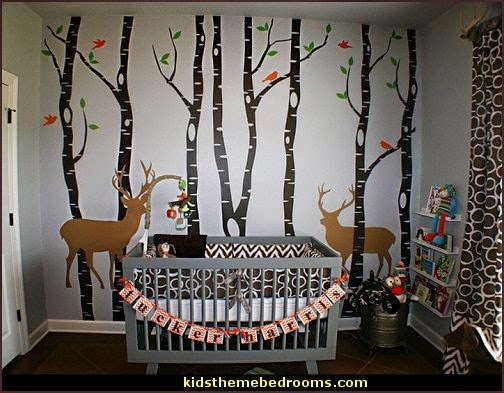 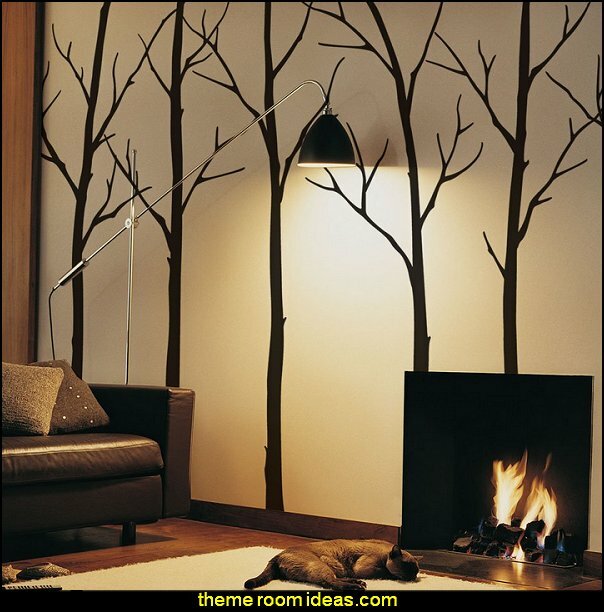 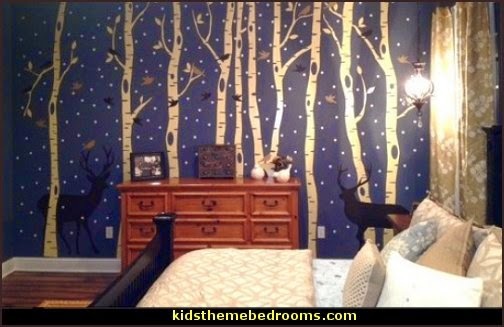 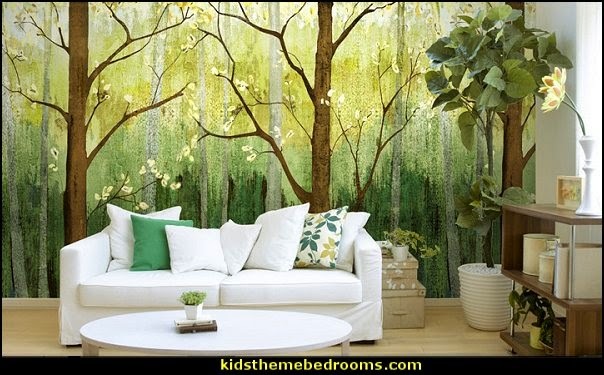 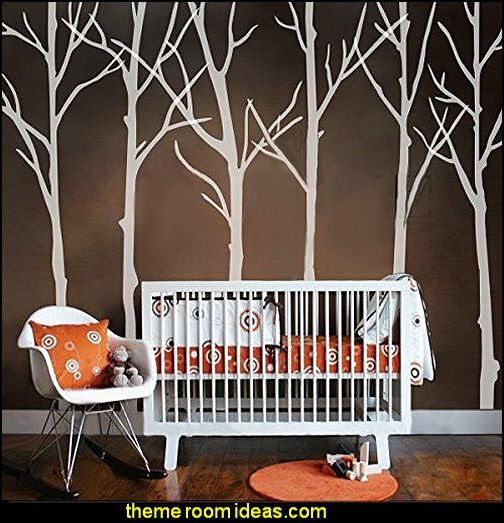 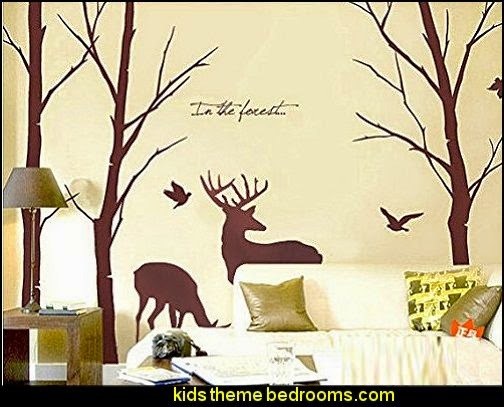 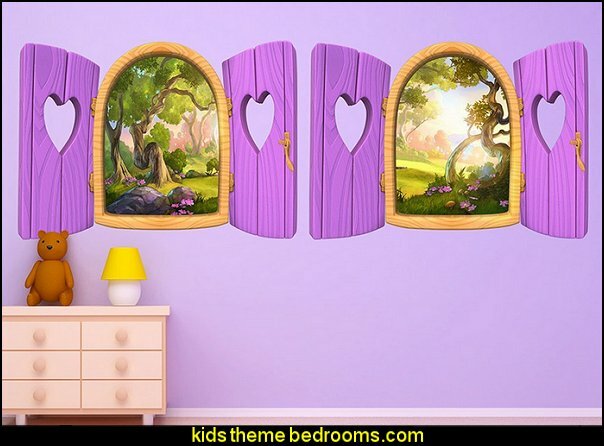 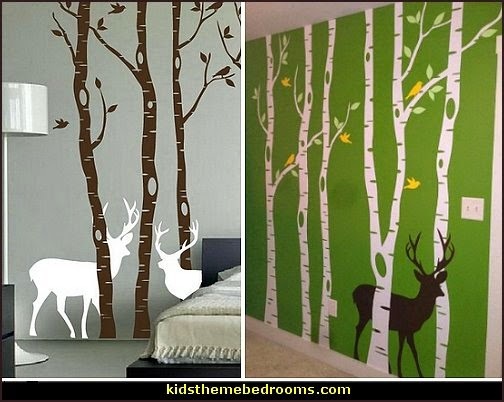 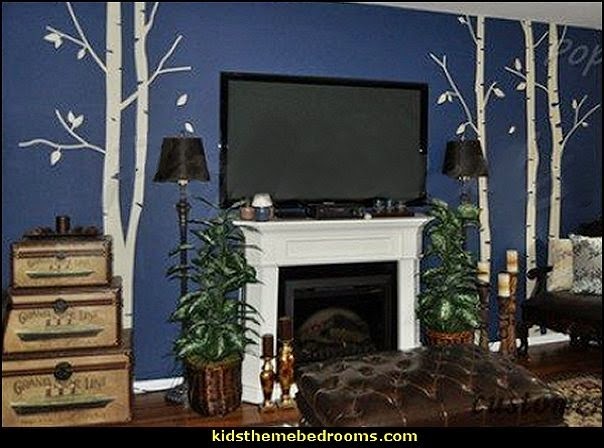 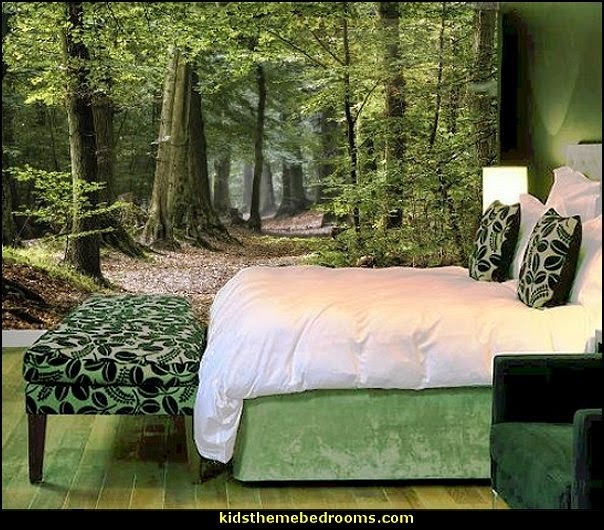 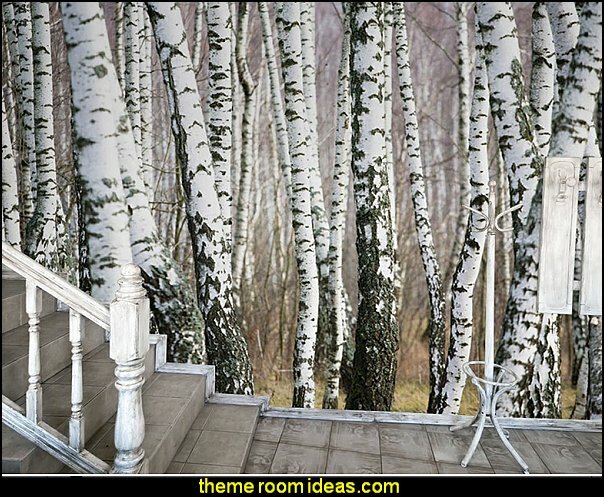 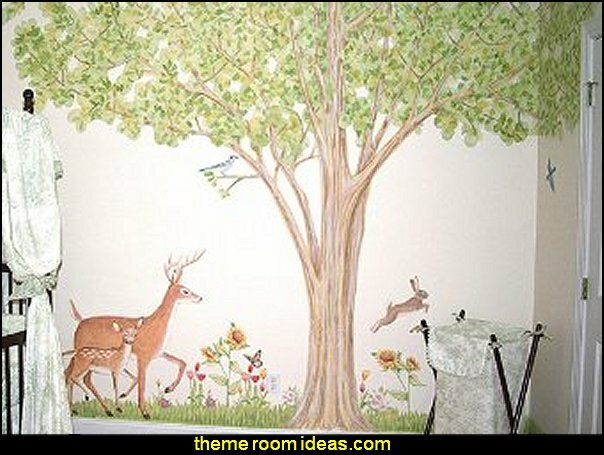 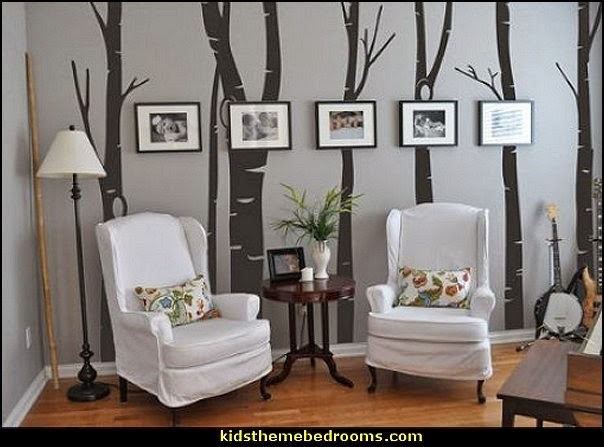 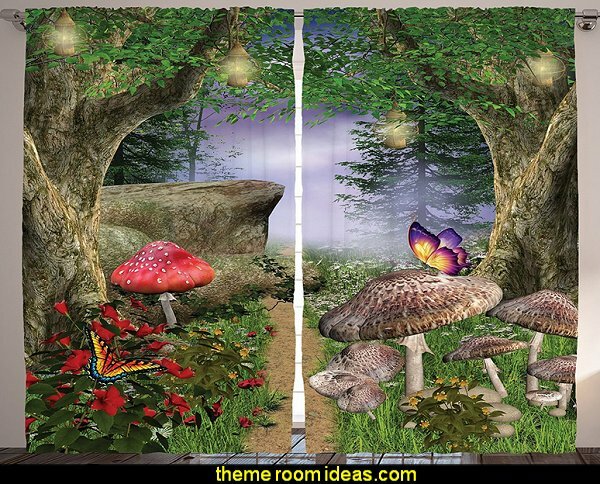 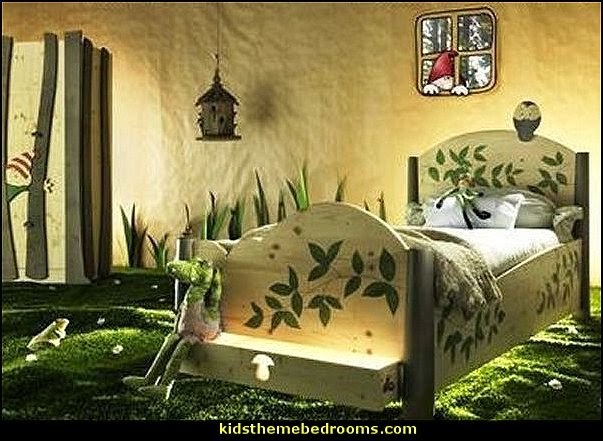 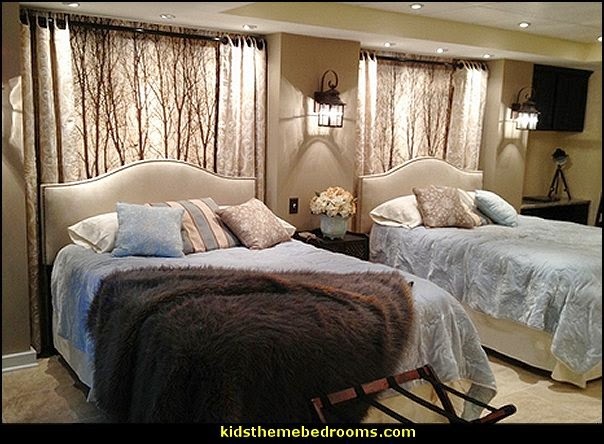 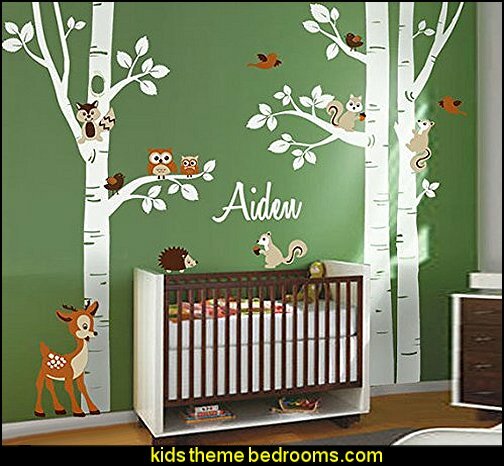 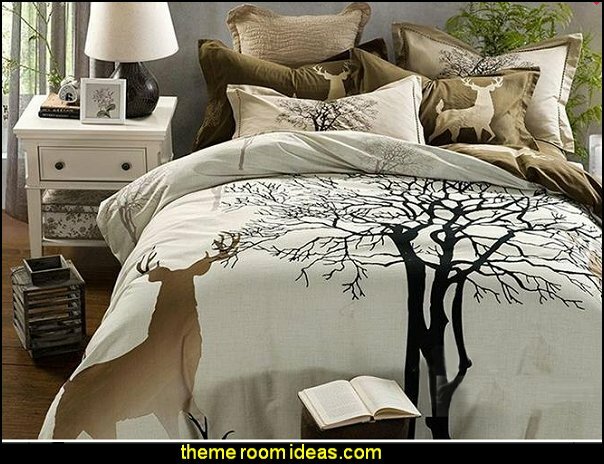 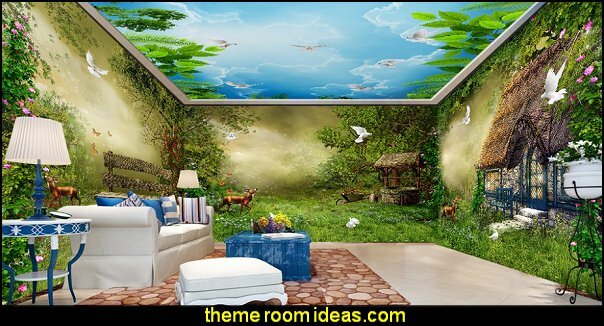 Birch murals - design a North woods hunting lodge or log cabin camping theme with birch tree mural decals. 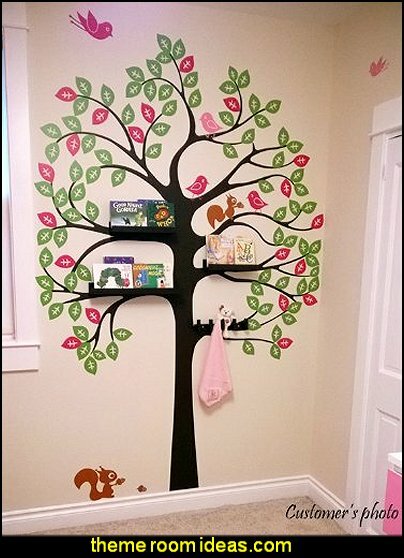 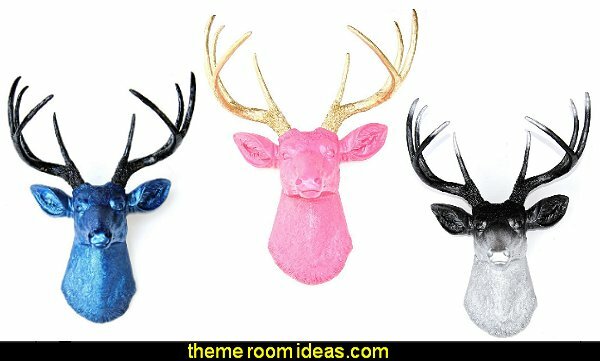 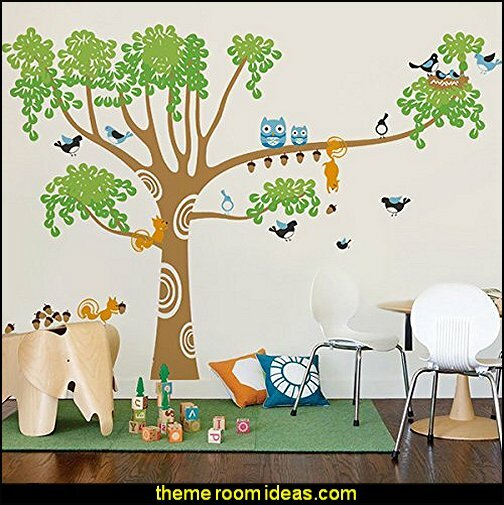 Get creative and add a little extra fun to your tree decals - add a birdhouse, what about some cute tree animals, either decals or attach a few of the smaller plush ones. 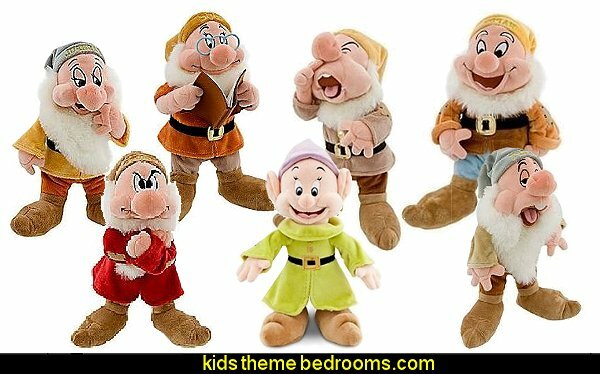 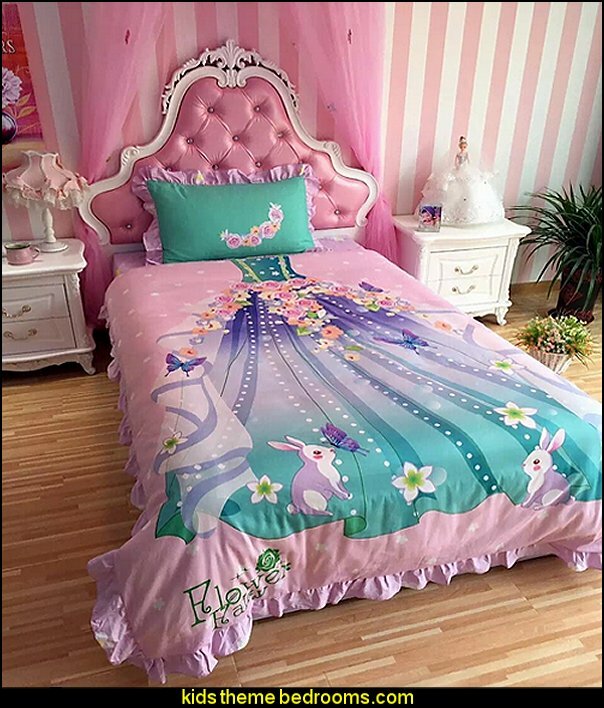 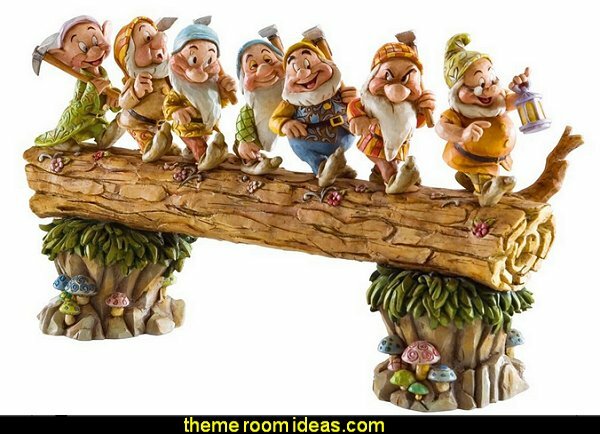 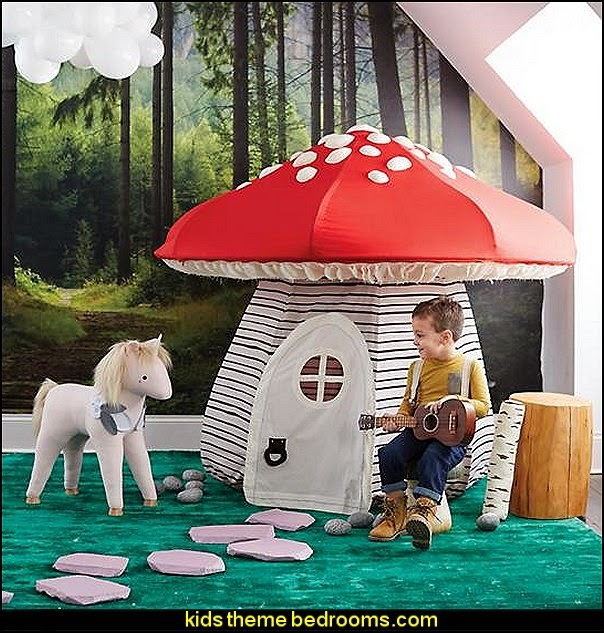 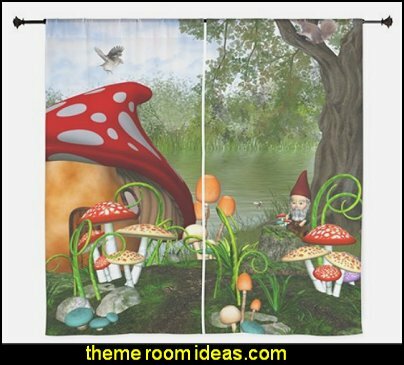 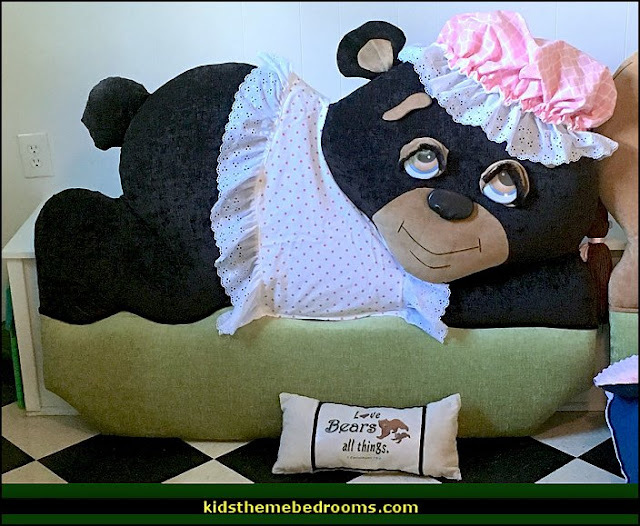 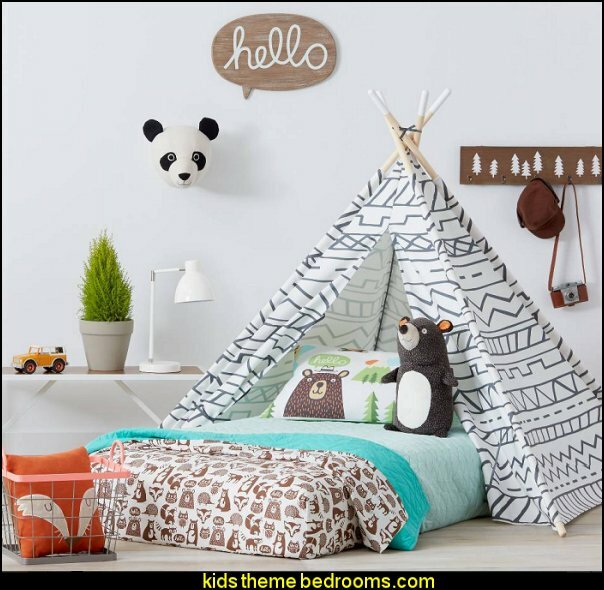 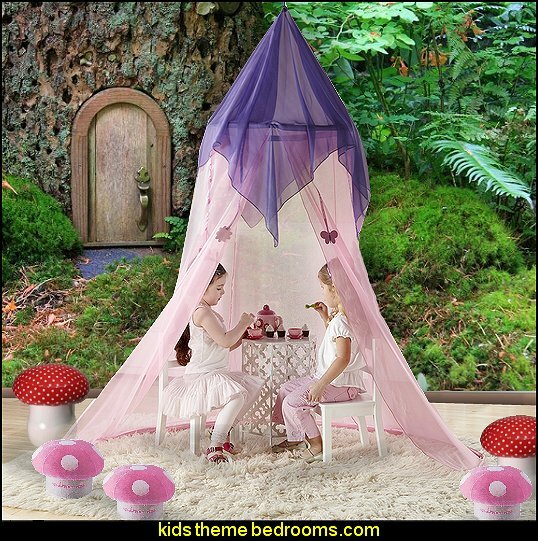 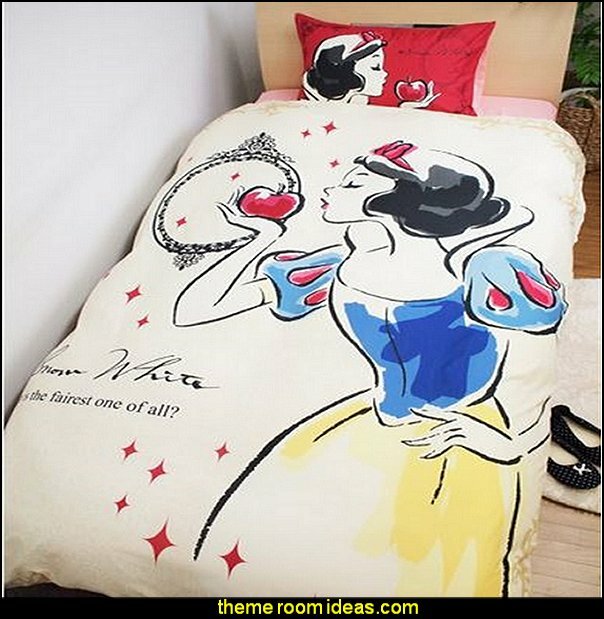 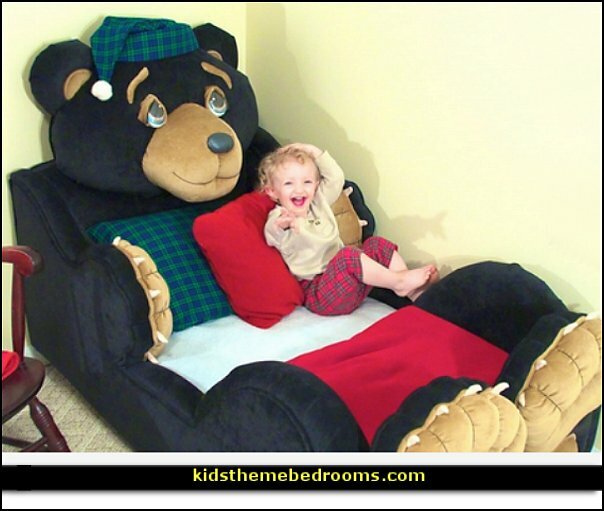 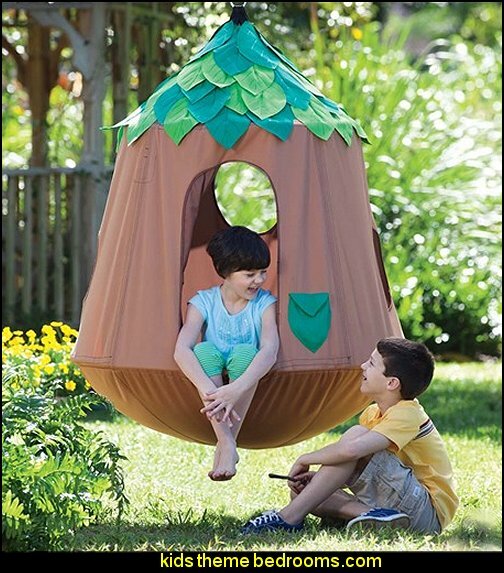 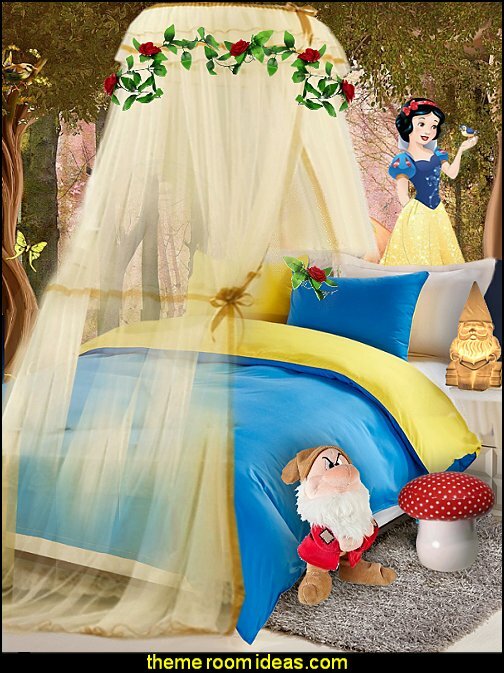 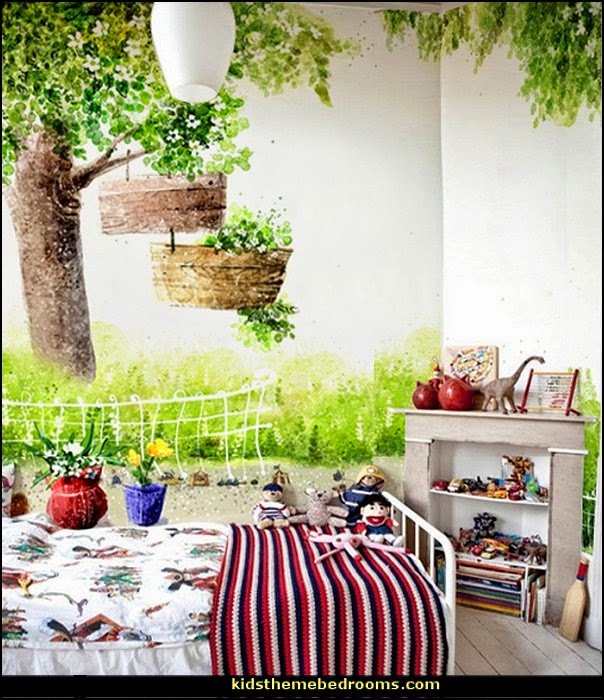 What about a laundry line, to hang your children's artwork. 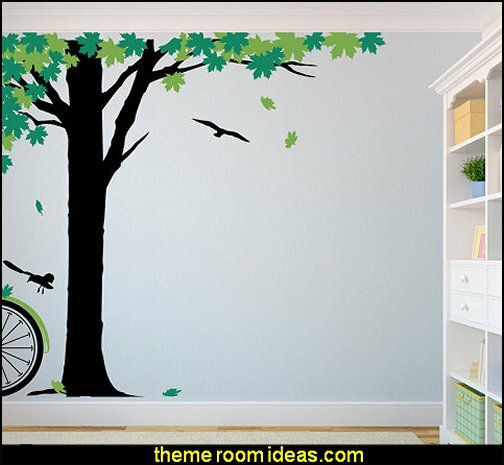 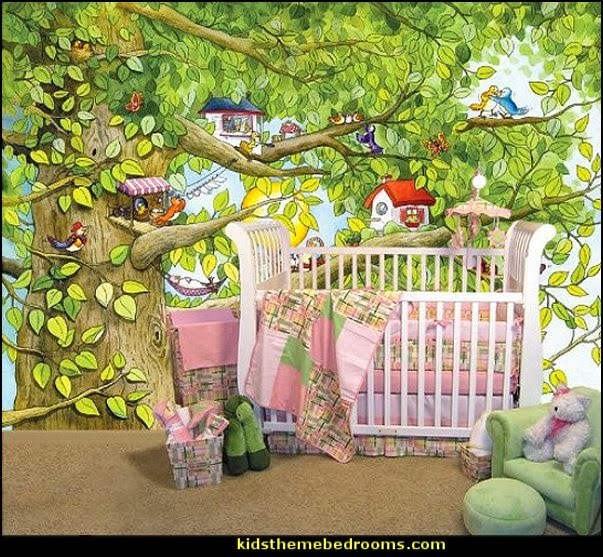 From live oaks with Spanish moss to towering redwoods, you can find the perfect tree mural. 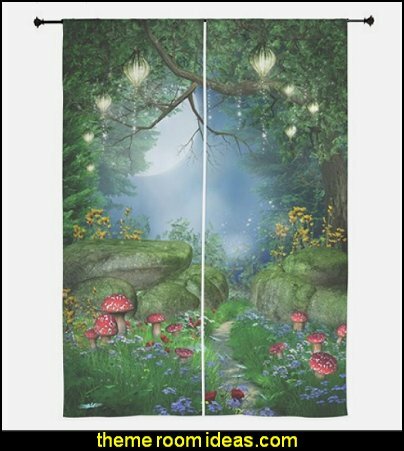 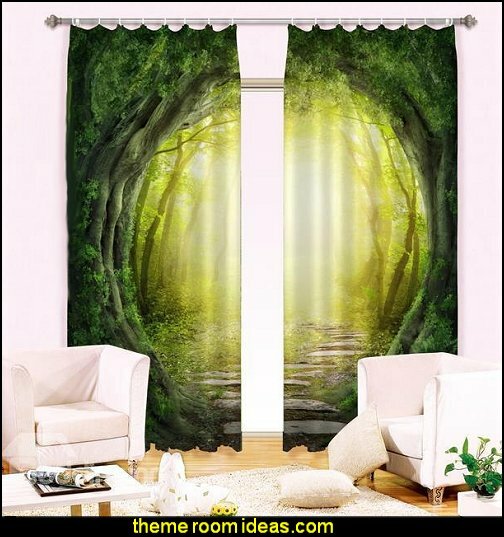 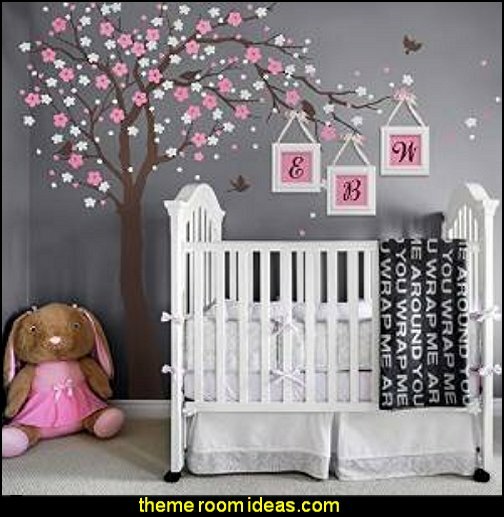 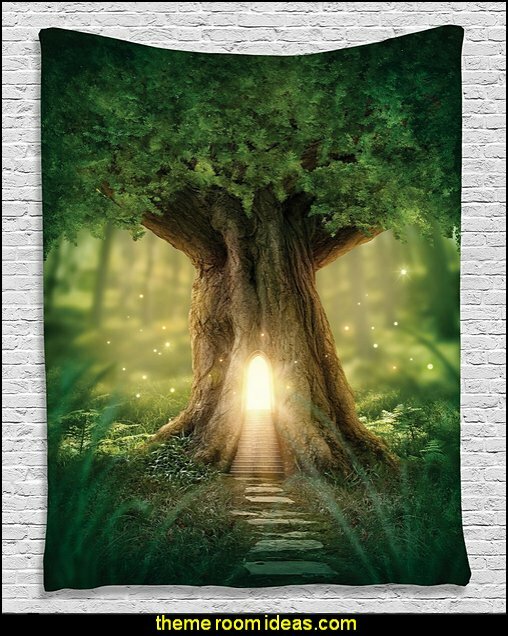 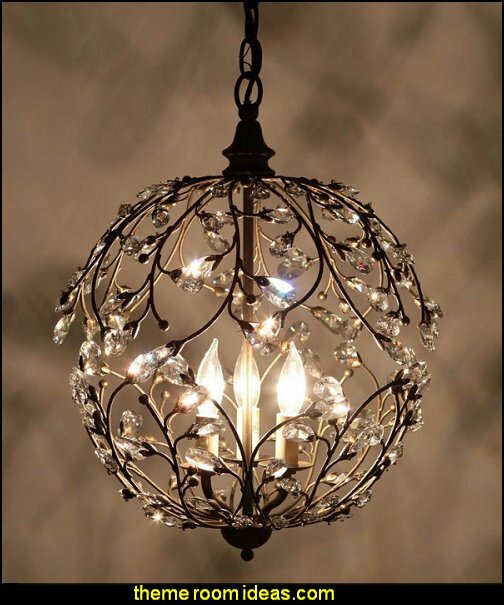 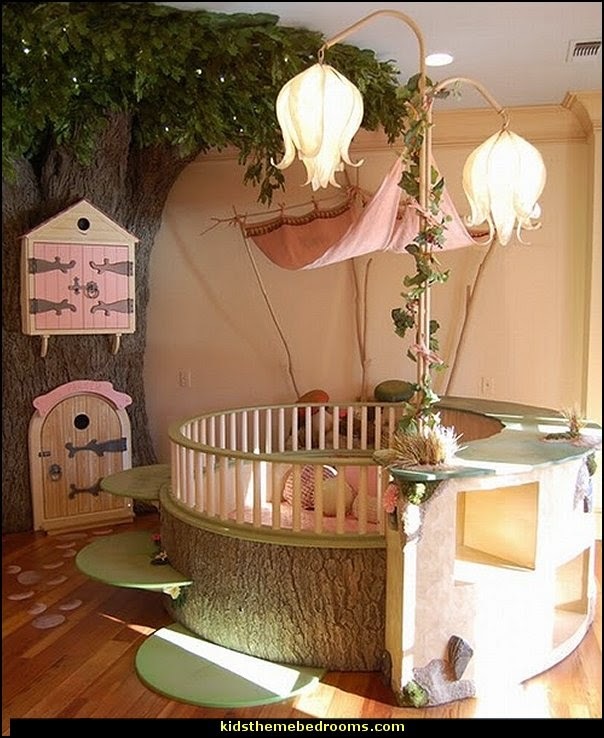 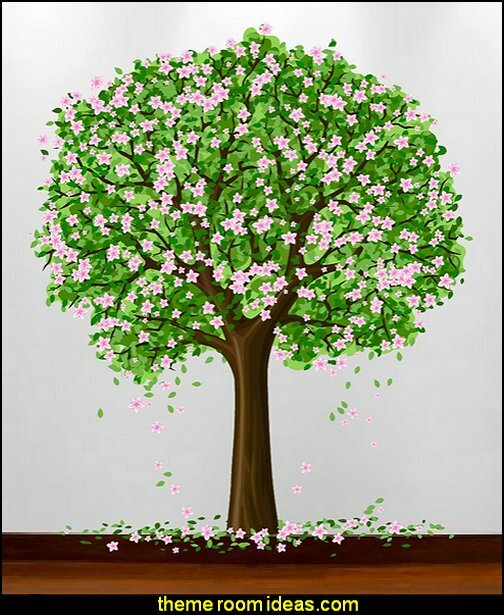 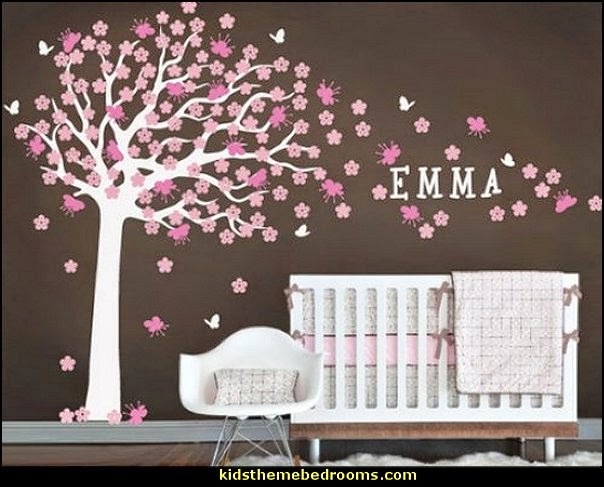 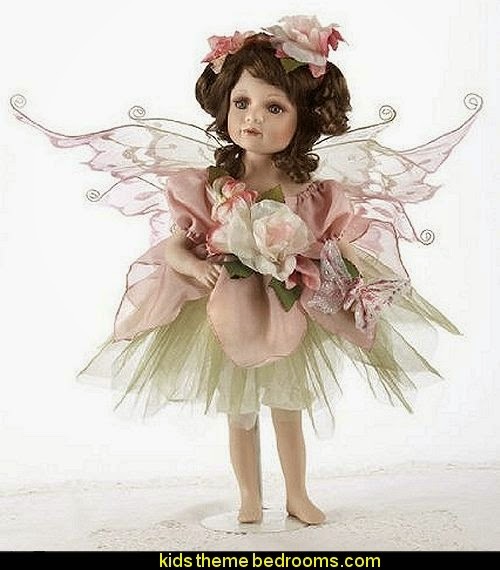 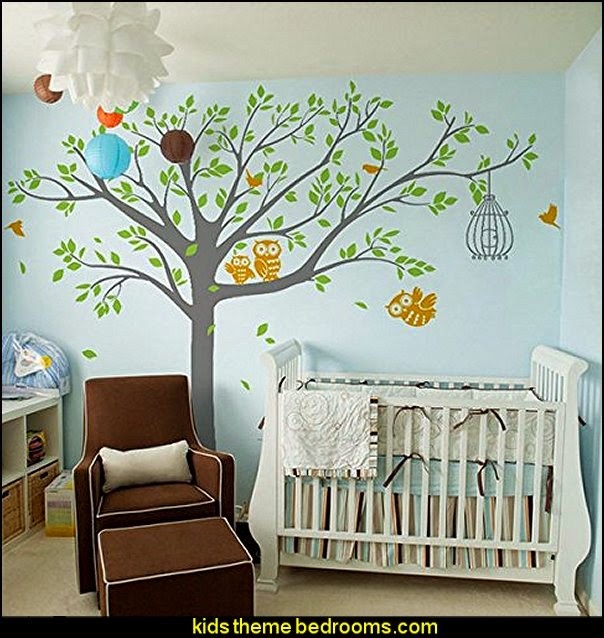 Magic Murals has a great selection of trees of all varieties, from aspens to palms, cherry blossoms to cypresses, and poplars to baobab trees. 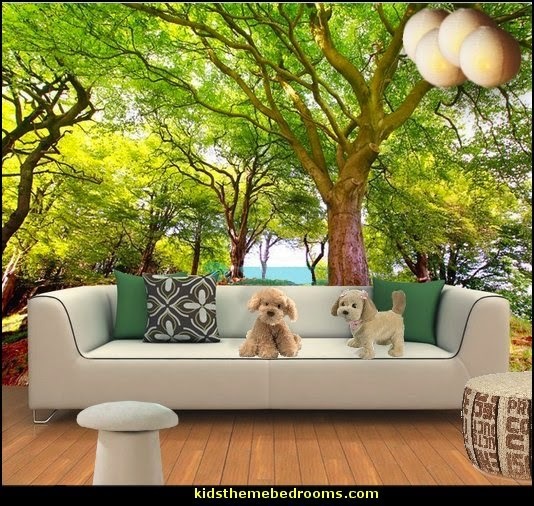 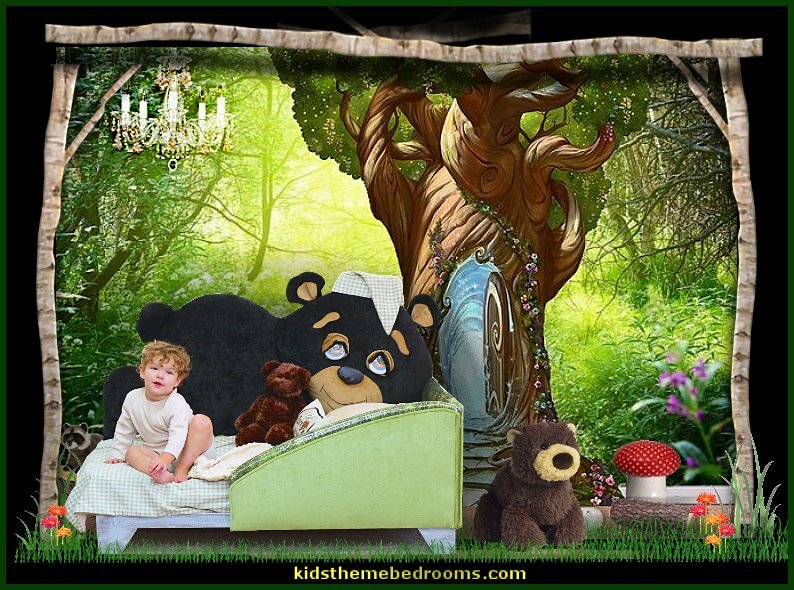 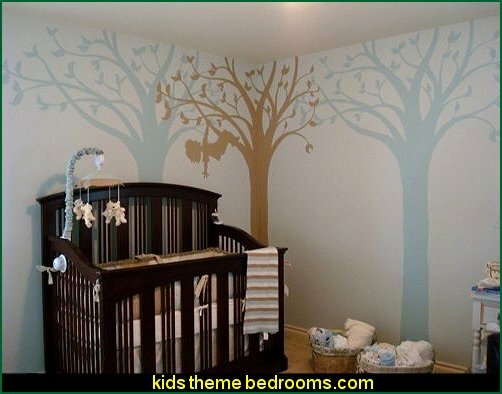 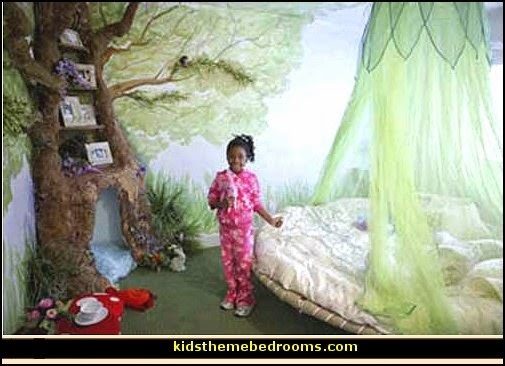 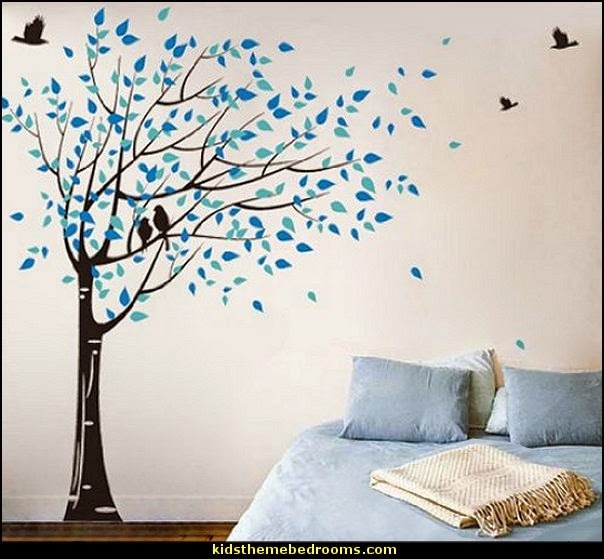 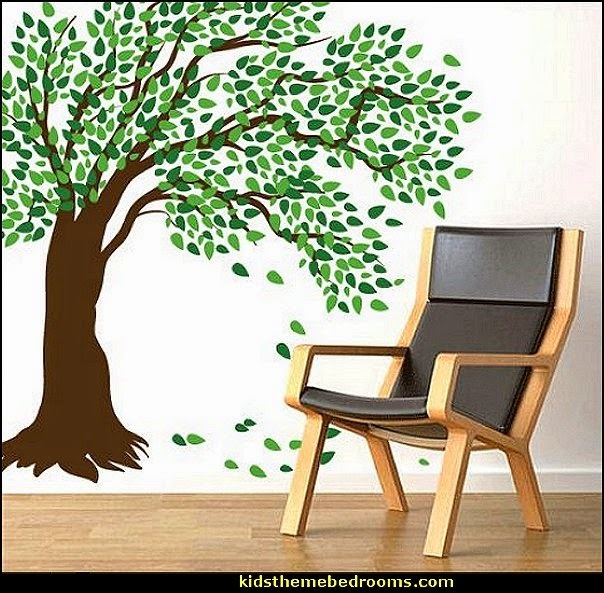 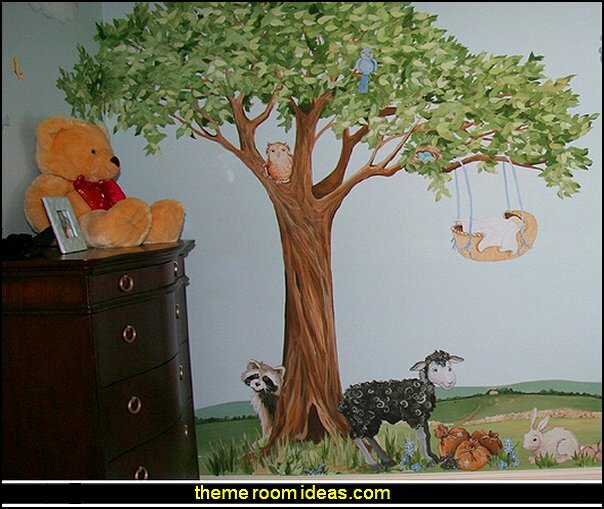 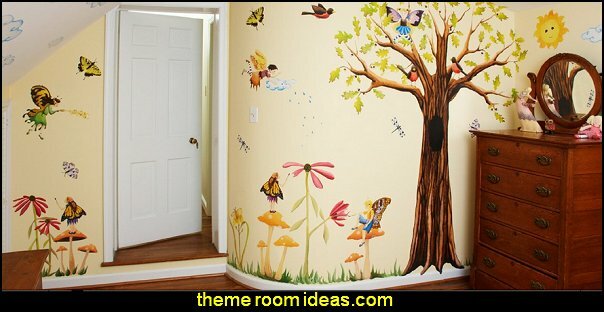 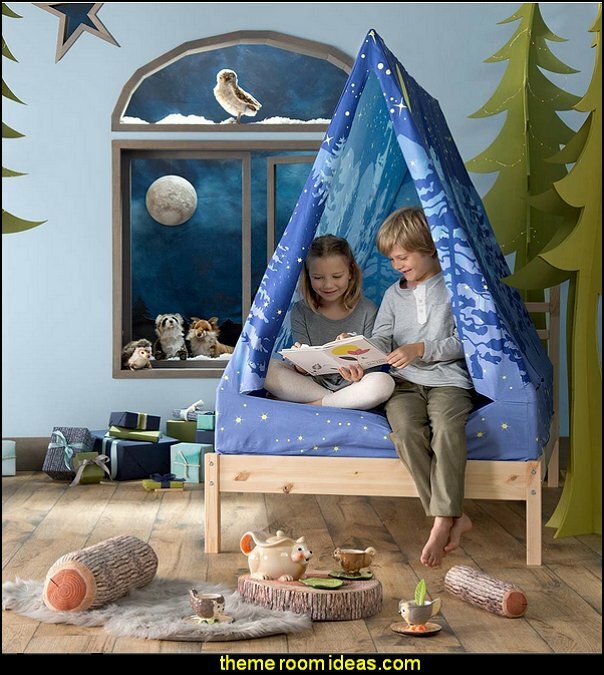 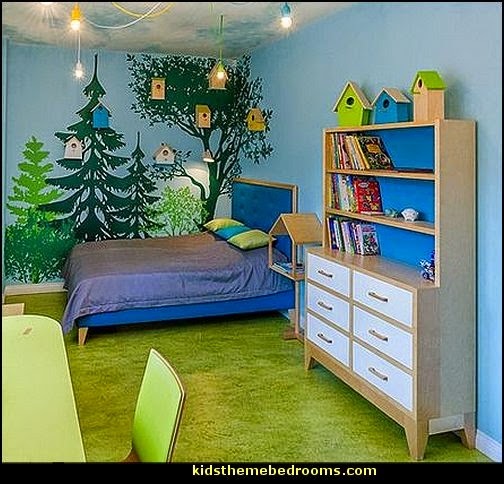 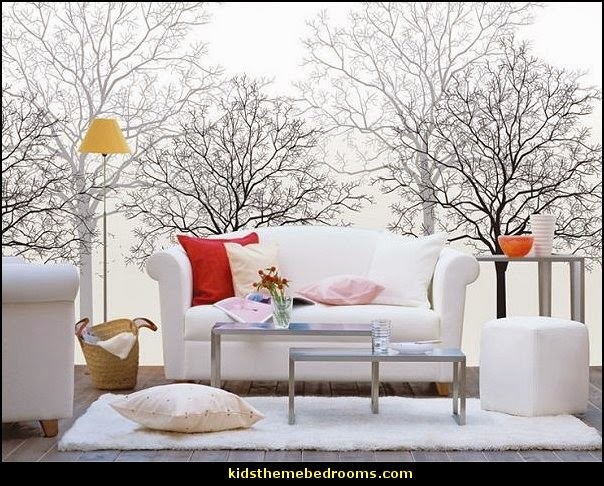 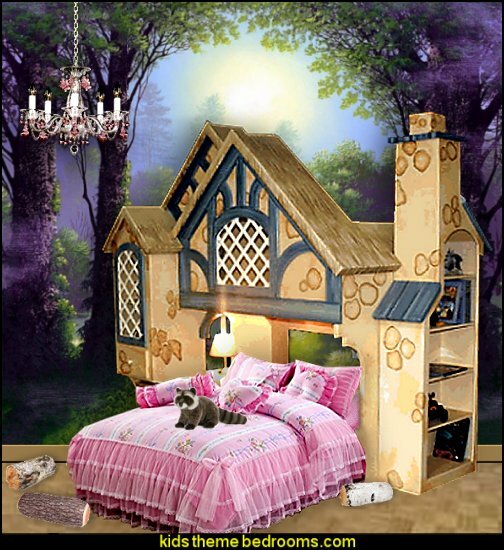 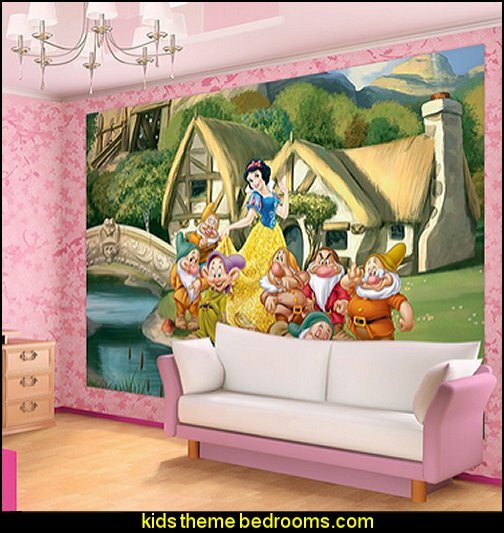 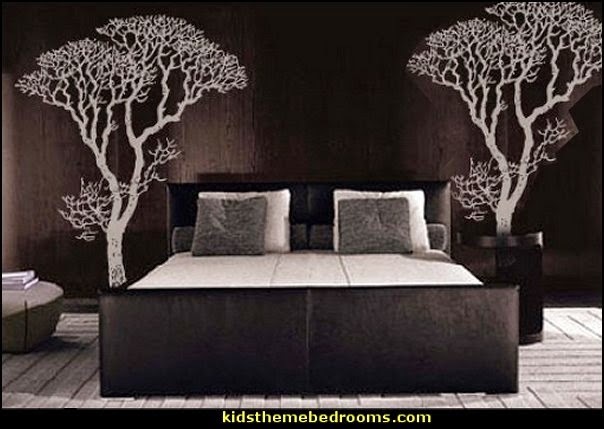 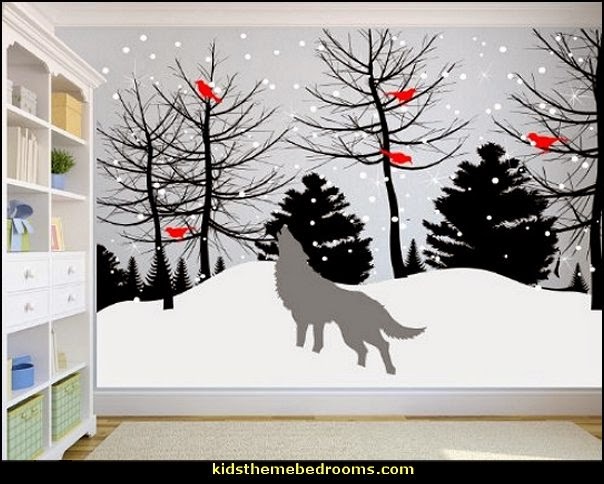 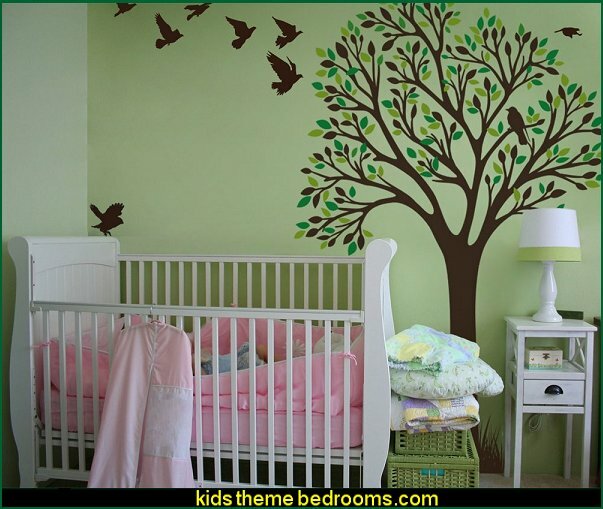 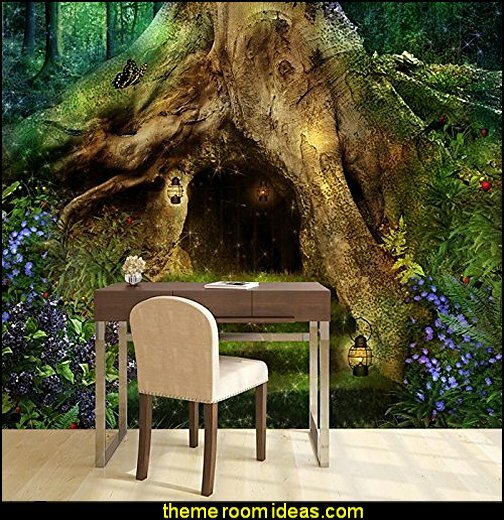 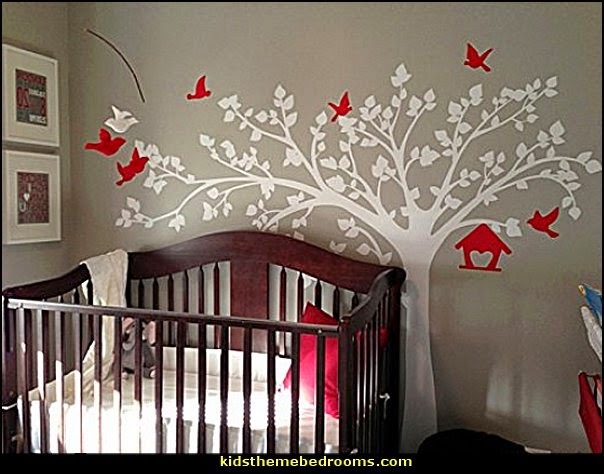 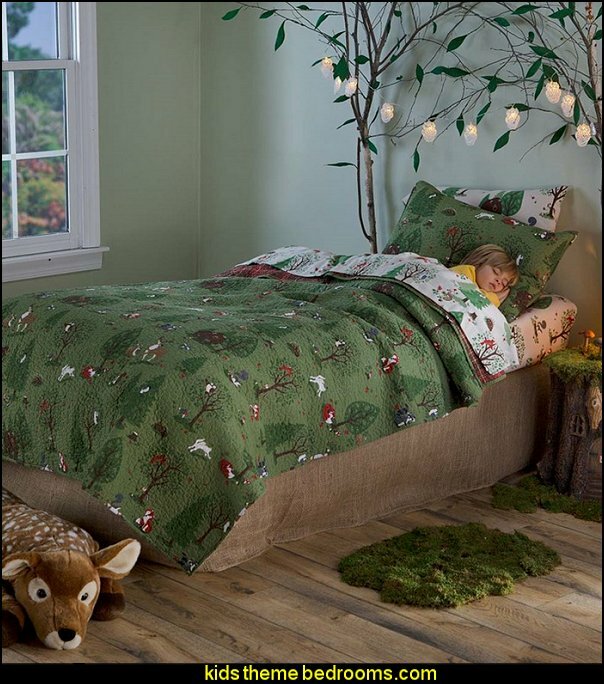 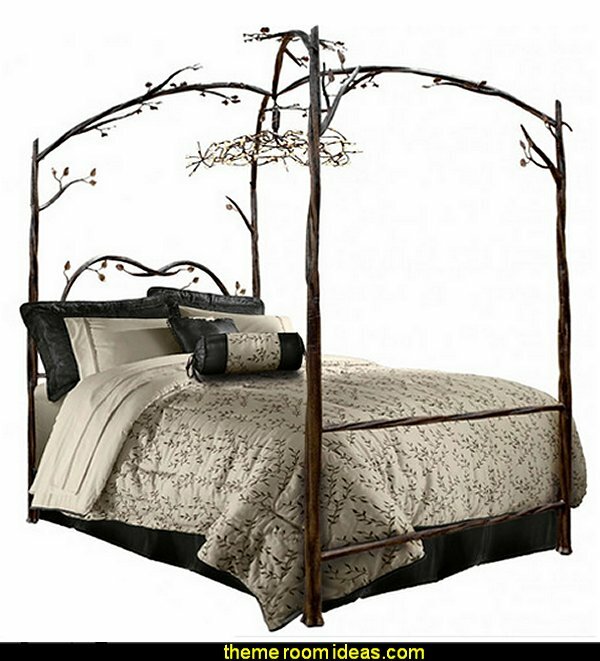 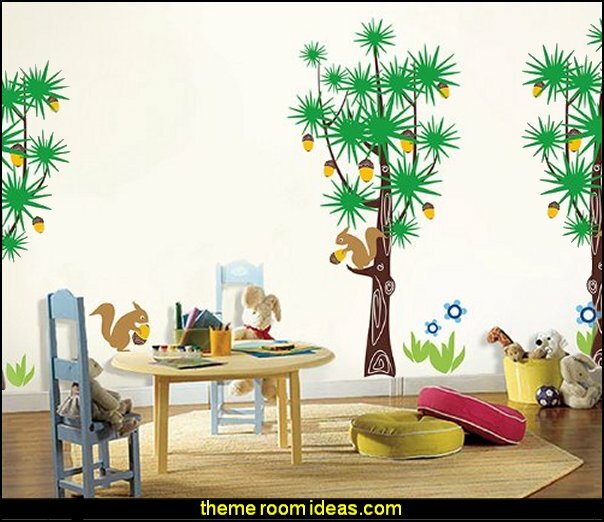 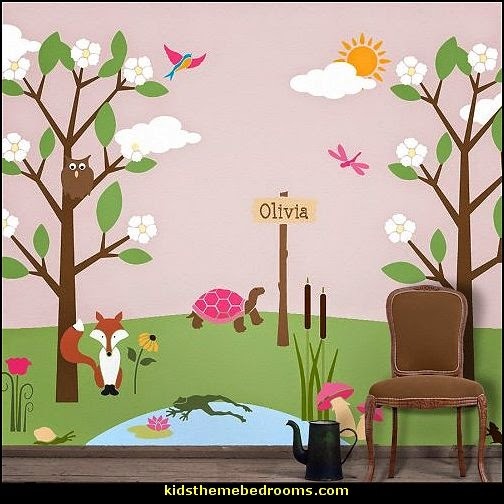 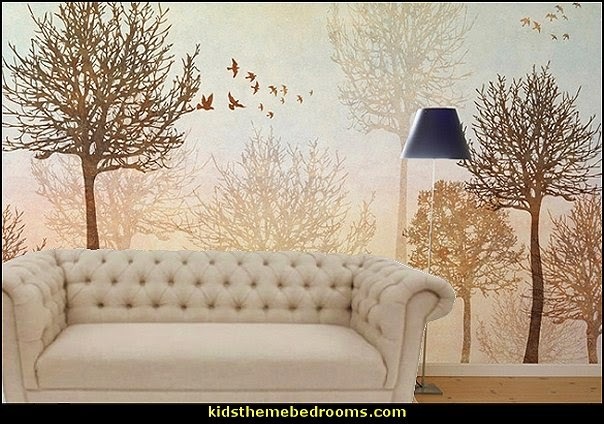 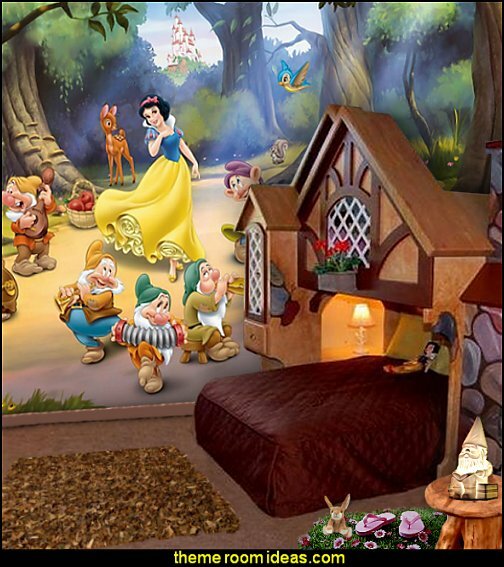 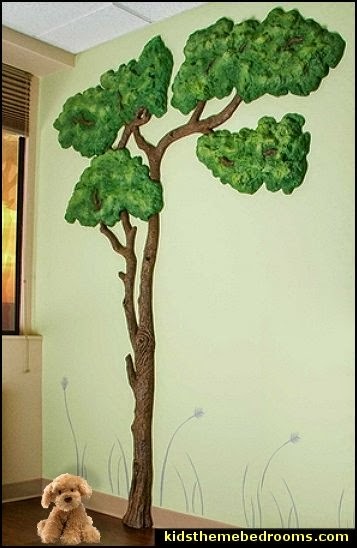 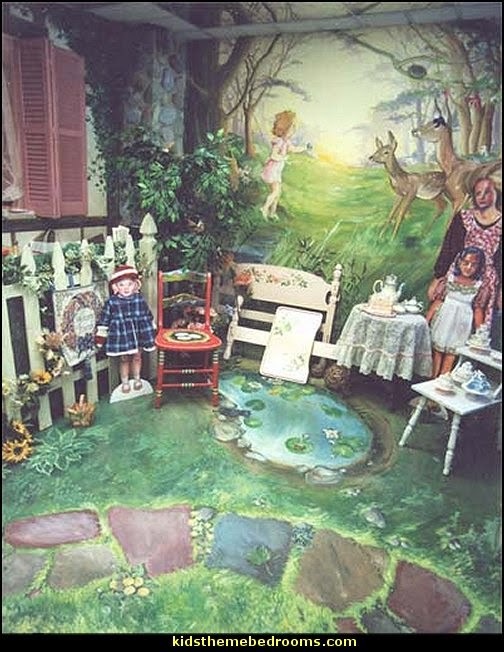 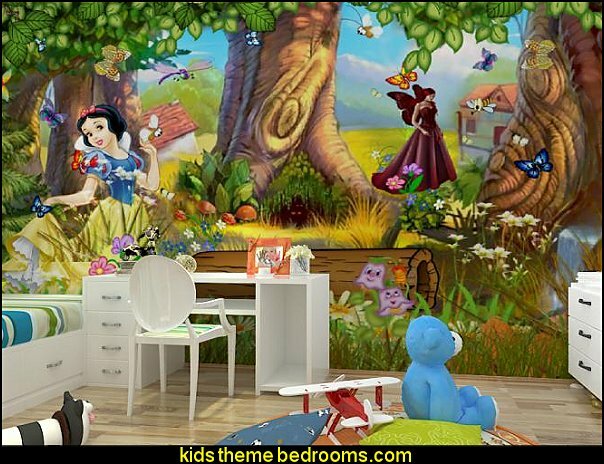 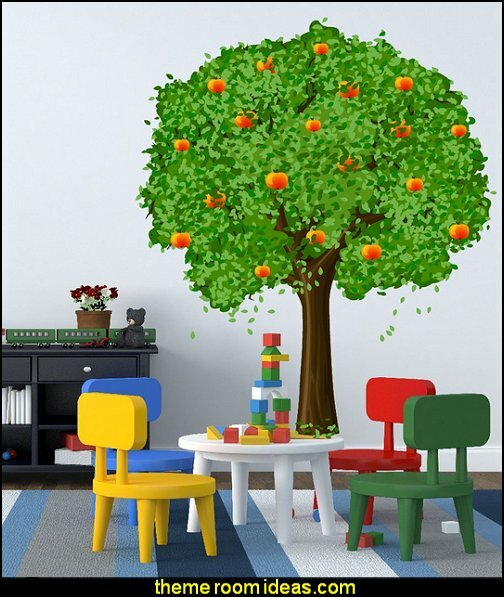 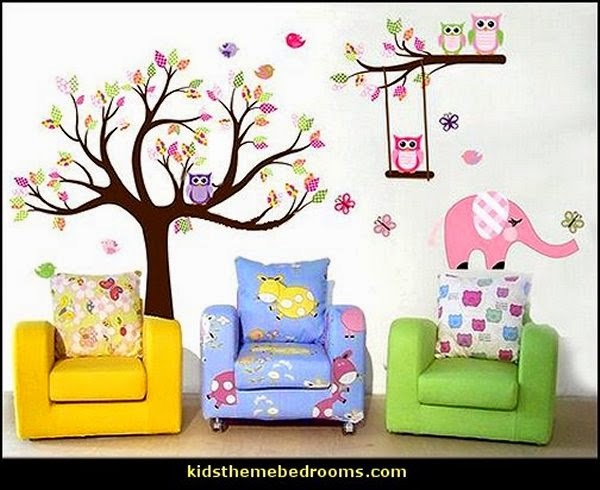 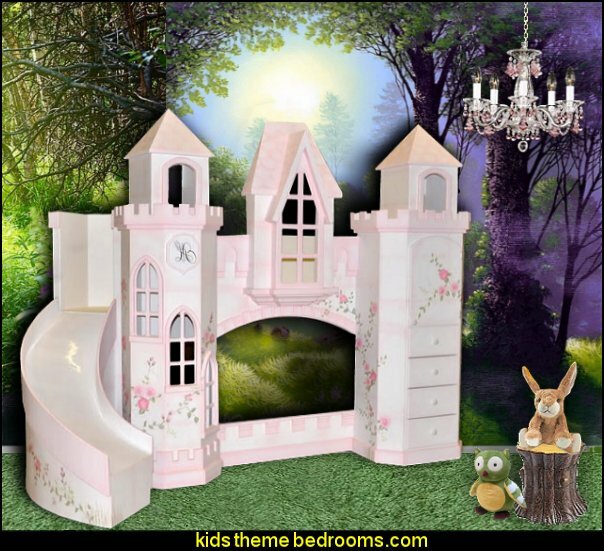 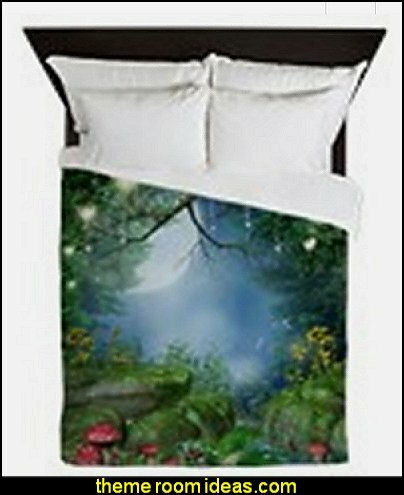 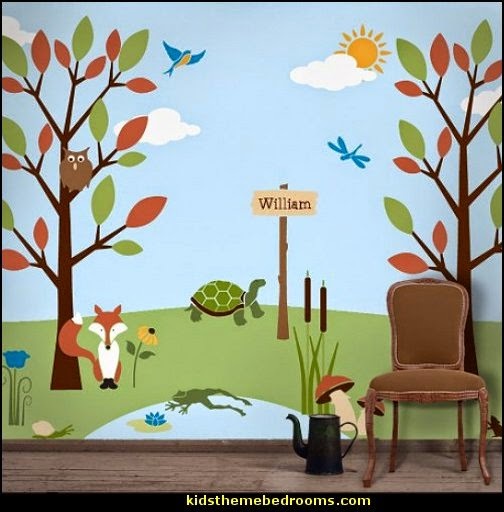 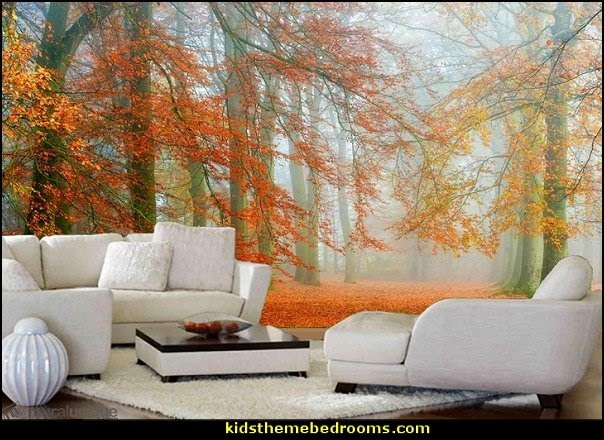 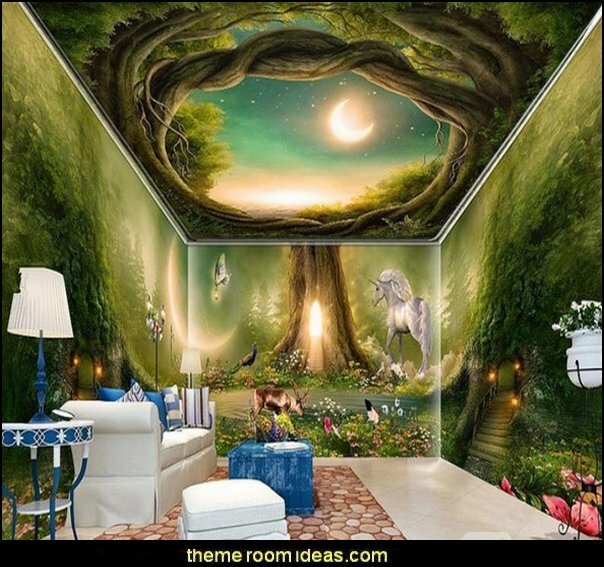 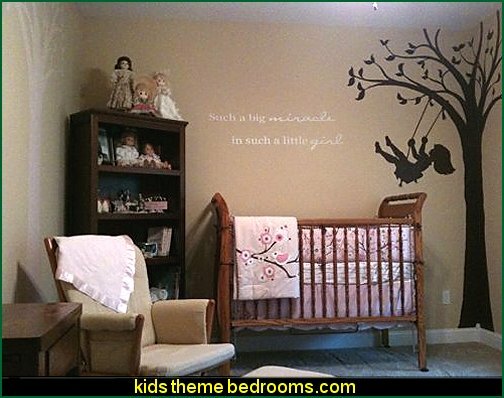 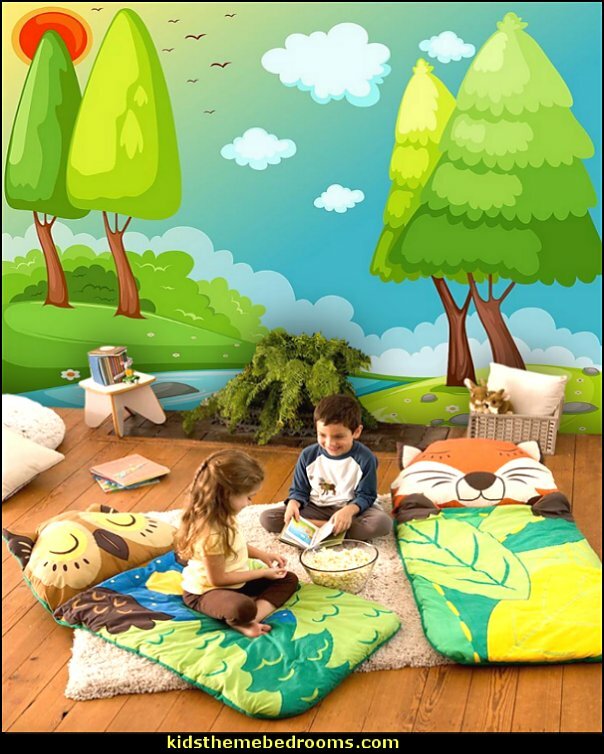 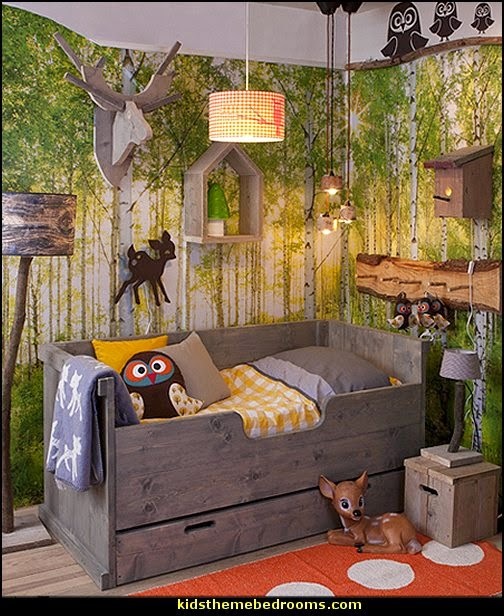 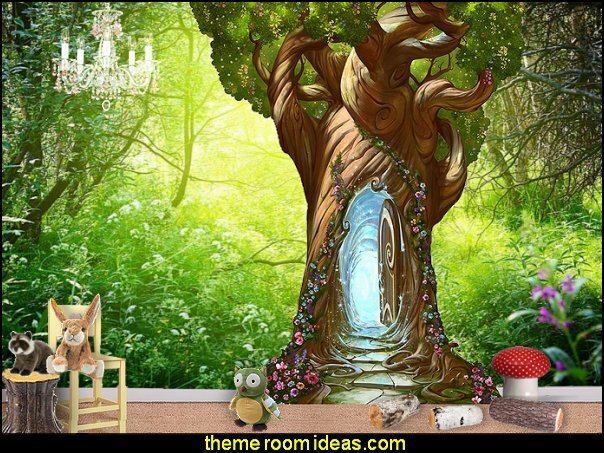 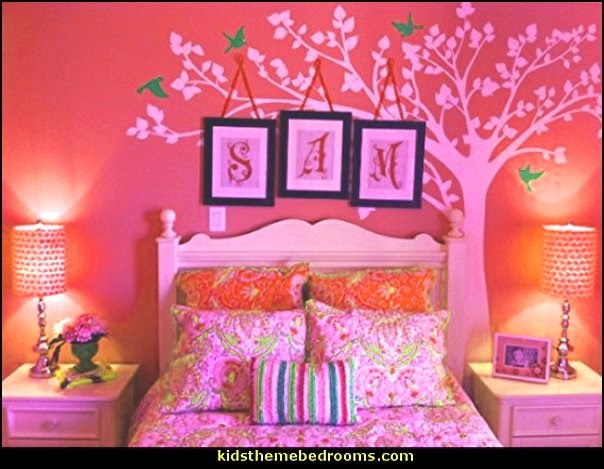 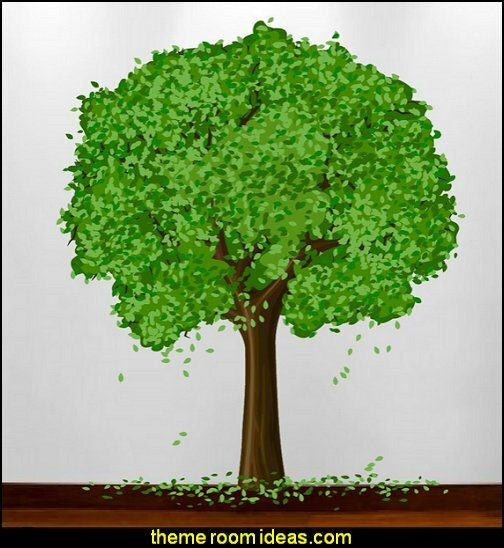 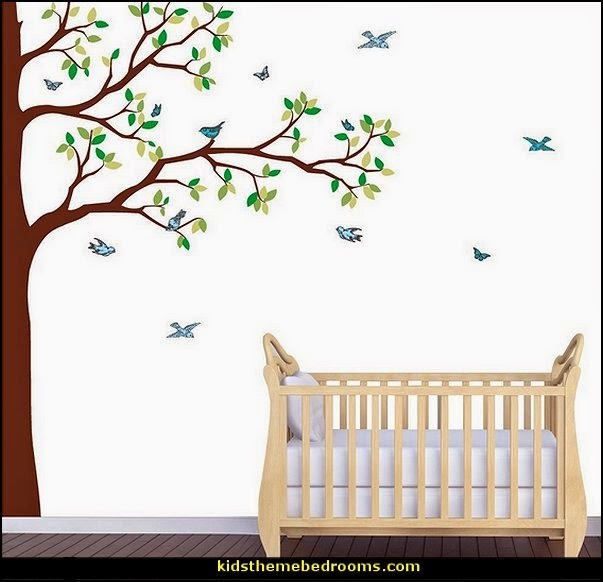 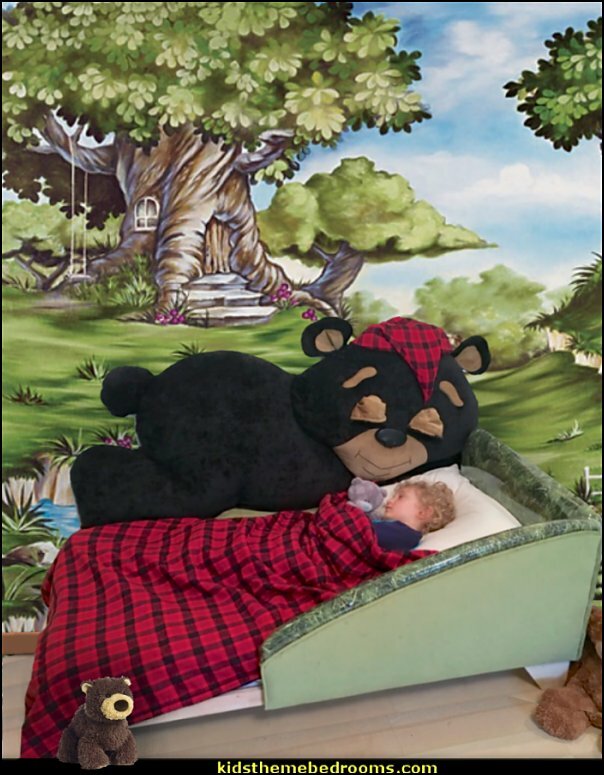 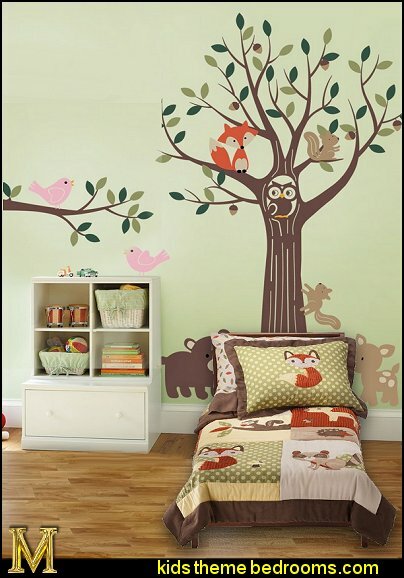 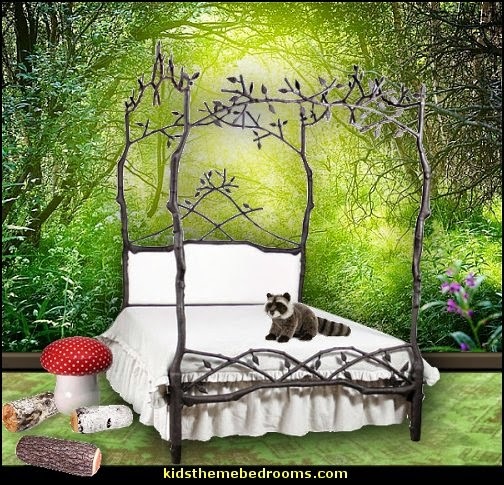 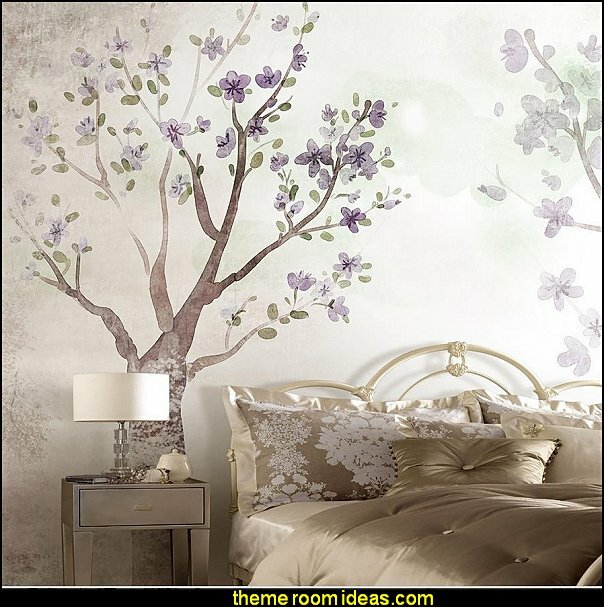 From Africa to Alaska, Magic Murals can find the tree mural that you want to adorn your home.